How can you plan ahead for unanticipated economic and political disruptions? Perhaps you can’t – but nonprofit leaders CAN reflect on their past and current experiences, consider what’s happening around them, and respond to recognized trends - with a little help from researchers and those in our sector who are actively collecting data and sharing the results. Chances are that you’ve received a request to complete a survey recently. Maybe it was from a state association of nonprofits asking you to share compensation data, or perhaps you completed the Nonprofit Finance Fund’s State of the Sector survey, which we highlight below. If so, by sharing your nonprofit’s experience, you are contributing to our collective understanding of how to strategically move our organizations forward. It’s the same with the 2020 Census – by participating, individuals will be informing our government where and how to strategically deploy financial resources. The willingness of individuals to participate in the census is not unlike the willingness of any nonprofit to take the next survey, and the next. Do we trust the resulting information? Do we trust the organization asking us to participate? Information that state associations of nonprofits ask you to share, similar to what we try to share with you each month, is intended to help your nonprofit, and all nonprofits, prepare for what’s ahead. Thanks for reading, sharing, and supporting our common goals by participating in smart surveys. In 2020, the US Census will attempt to count everyone living in the US. But nonprofits large and small are not waiting for 2020 – they are preparing their outreach now to make sure there is an accurate count. Why? The 2020 Census will determine, among other things, how much federal government money flows into which communities, so nonprofits (as well as businesses and state and local governments) are intent on making sure that the US Census Bureau has the resources it needs to conduct an effective count, and that all persons are counted. If the resulting data are wrong, there will be inequitable distribution of resources for basic community needs, such as education, food and income security, health care, housing, transportation, and much more. In a nutshell, nonprofits are on the front lines of census work, organizing right now to get out the count, so the communities they serve are not shortchanged. Because of serious concerns that the 2020 Census effort could be derailed by lack of participation or funding, the National Council of Nonprofits recently submitted a statement to Congress identifying the many reasons that charitable nonprofits and foundations care that the census count is fair, accurate, and complete. Our statement emphasizes how a flawed count will harm all businesses, governments, nonprofits, and residents. It also expresses strong opposition to a divisive citizenship question that could suppress participation and the count. Additionally, because the internet will be the primary tool for collecting responses, we’re also concerned that some people may not participate if they live in a part of the country, or a household, where internet access is not a sure thing. What’s happening in your community? Will your nonprofit be engaged? If you are interested in learning what nonprofits are doing right now in your state, be sure to check-in with your state association of nonprofits. Thank you for carrying the message to YOUR community that there are many opportunities to unite nonprofit voices around the importance of an accurate census. What can your nonprofit do to ensure an accurate count? Share information with your nonprofit’s board of directors and staff. Make sure all your nonprofit’s stakeholders understand the important connection between census data and the ability of your nonprofit to advance its mission. Private foundations care about an accurate census, too. This is an opportunity for your nonprofit to reach out to local foundations to work together. You can also share how networks of grantmakers are actively deploying resources to support an accurate 2020 Census. 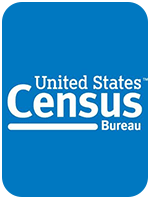 Explore the US Census Bureau’s extensive resources for partners, and sign up for email alerts from the US Census Bureau. Keep up-to-date on developments via monthly email alerts from The Census Project. Show up at community meetings. Get involved in local working groups or census task forces. Your state’s official demographer (or other official) may be organizing activities nearby. Your nonprofit can help encourage others in the community to attend and express their views, as well as work together to ensure the most accurate count possible. Looking for inspiration or a tool to help you explain why the 2020 Census matters? Thanks to Washington Nonprofits for producing this insightful video that explains through voices of real nonprofits just how important the census is for all communities! What’s the real “State of the Sector”? In the last month, we’ve reviewed three reports that provide data and perspectives on the “state” of the charitable nonprofit community. Each report provides insights to help nonprofit leaders prepare for challenges ahead. 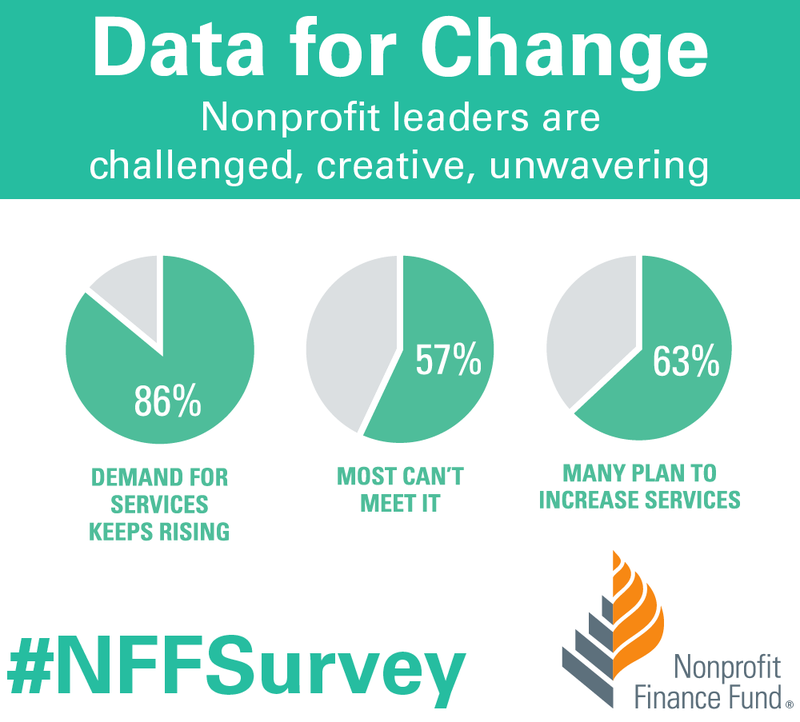 The Nonprofit Finance Fund’s 2018 State of the Sector survey report offers a data-rich base for understanding the depth of challenges nonprofits currently face. Despite the report’s headline (“our sector is resilient”), the majority (57 percent) of nonprofits surveyed (nearly 3,400 in all 50 states were surveyed) report they are unable to meet the demands for their services. Of the 86 percent that anticipate an increase in demands in 2018, only 43 percent anticipate being able to meet that increased demand. Financial sustainability is a top challenge for 62 percent, and since a strong majority report that the demand for their services is rising (a finding that was also evident in the last seven surveys by NFF, dating back to before the Great Recession), it is uncertain that charitable nonprofits will be able to deliver on their hoped-for outcomes. Two other new reports shine similar light on the challenges and uncertainties that nonprofits face. In Bracing for a Downturn, the Center on Effective Philanthropy finds that a majority of nonprofit and foundation leaders are concerned about the expected decrease in charitable giving as a result of the new tax law. In The New Normal: Capacity Building During a Time of Disruption, the authors also share their sense of what it will take for charitable nonprofits to be successful, given the tumultuous political and economic climate, limited resources, and increasing demands. Nonprofits told the authors of The New Normal what they believe nonprofit leaders today need, including “more flexible strategies, adaptive leadership, unrestricted funding, and short- term feedback loops that enable them to assess whether they are gaining traction against their goals.” We encourage you to read the full report, which includes recommendations both for nonprofits and for private foundations that support them. All three reports underscore the downside of relying exclusively on single-source and restricted funding (especially government contracts/grants), and the limitations of long-term strategic planning. In contrast, given the current “state of the sector” there is a compelling need for agile leadership by boards, funders, and nonprofit managers. More on that, next month! Flexibility is one of the most important determinants of employee satisfaction and retention, so not surprisingly flexible work arrangements, such as telecommuting, are becoming more commonplace. In the last five years, 40 percent more employers in the United States have offered flexible workplace options, such as work-at-home arrangements. Data reported by GlobalWorkplace Analytics.com (from the American Community Survey/US Census Bureau) tell us that 80-90 percent of US workers would like to telework at least part time. It’s no surprise that telecommuting is a growing trend among nonprofit employees, along with the rest of the US workforce. But crafting policies that both support employees AND the culture of a nonprofit, as well as satisfy legal requirements, can be a challenge. We looked for resources about telecommuting specifically designed for modest-sized nonprofit workplaces and didn’t find what we hoped for. So, we pulled together resources that may be useful for nonprofits considering how to compose a policy on remote work/telecommuting. We’ve posted them on a new web page: Nonprofit remote workers and telecommuting. For additional guidance, we also asked an expert, Scott Schapiro of KPMG, to share background on our blog about the state tax implications of telecommuting. And, while we’re on the topic of commuting to work…our resources on the new federal tax law explain (in case you missed this development) that when nonprofit employers provide qualified transportation benefit plans to help their workers set-aside pre-tax dollars to pay for their commute, the nonprofit is now liable for paying an unrelated business income tax (UBIT) – federal and, perhaps, state – on those payments. Learn more about why we think it’s an oxymoron to impose an income tax on expenses paid and join us and nonprofits across the country by sharing your nonprofit’s reaction to this new tax with the IRS/Treasury Department.